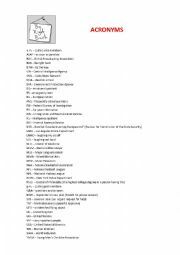 Two-page activity on differences between American English and British English, with teacher´s notes. 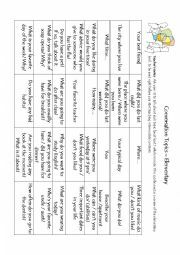 Activity cards to be used as a review of the elementary level. 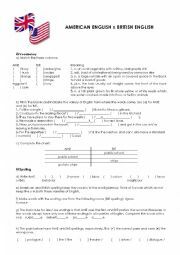 Worksheet to develop grammar awareness regarding word formation: prefixes and suffixes. 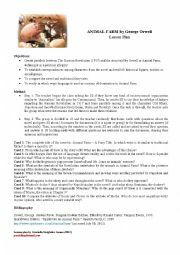 A lesson plan to be used after SS have read ´Animal Farm´ by George Orwell. 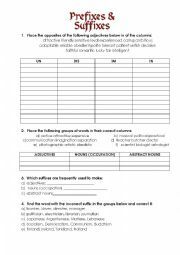 Students must analyze words and try to figure out what is the rule underlying the final pronunciation of the suffixes –ed (for the past tense of regular verbs) and the suffix –(e)s (for plural nouns, 3rd person singular of verbs and the genitive case). 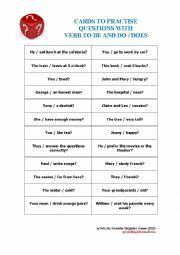 Cards to practise questions with verb to be in the simple present and auxiliaries do / does. 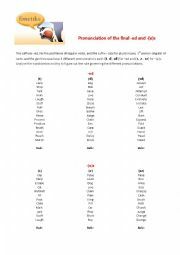 Well-known acronyms to practise saying the alphabet. 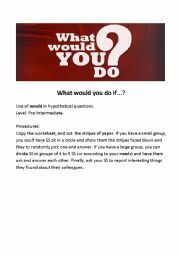 Cards with questions "What would you do if..."? to practice conditionals. Students are the survivors of a jumbo jet which has crashed in the Atlantic Ocean. There is only one life raft and it can hold only 10 people. SS must decide together who will be saved and who will die. The decision has to be unanimous. 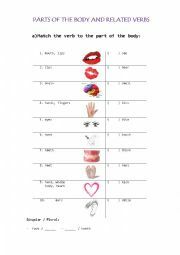 Worksheet with a matching exercise (parts of the body and their names) and verbs used with those body parts (e.g. : nose - smell). A brief study on preposition and particles differences, based on the work by George Yule. A scene from The Big Bang Theory sitcom analysed from the intonation perspective, with teacher´s notes. This .ppt presents a brief story of Captain America and discusses how this superhero’s trajectory intertwines with the USA history and ideology. 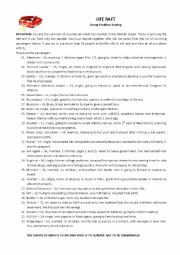 A .ppt on nouns used in pairs, where the 1st one modifies the 2nd (e.g. plastic bottle). Adapted from Oxford Grammar for EAP. You might ask your SS to create sentences with the nouns studied as a follow-up.